The prestigious and highly coveted cups await the victors. 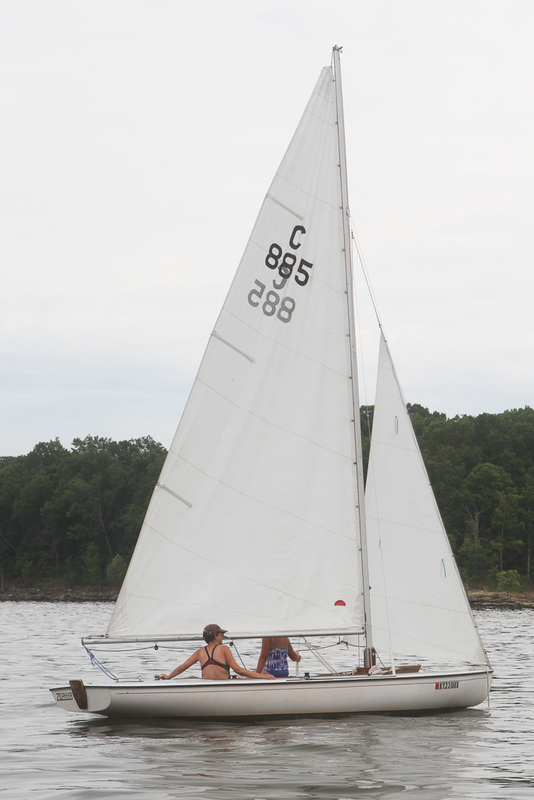 The past weekends regatta was a fun event although the wind was very light to say the least. IHOP customers do not generally appear as happy as these POYC sailors do when they woke up to the smell of coffee and sausage on the grill. 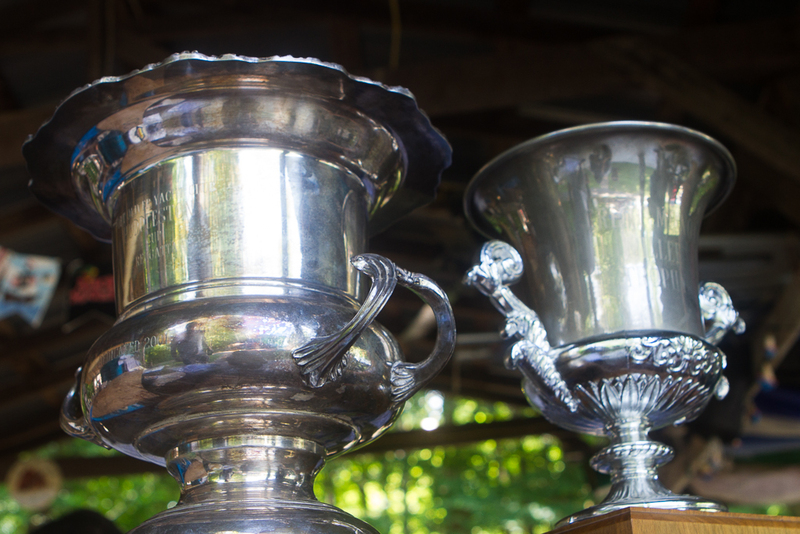 Pancake breakfast and Pork BBQ dinners were a huge reward for all entrants in this year’s cup. 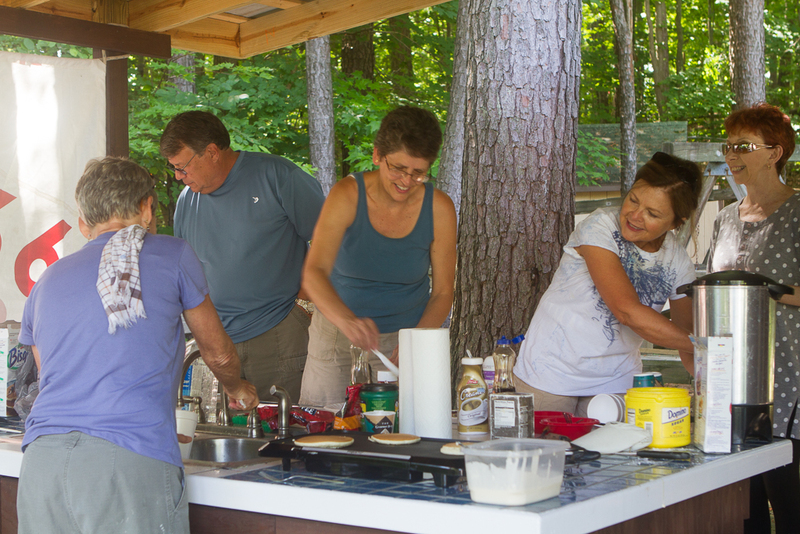 Carol K. and Doug R. commanded the spatula and heard the approving remarks of many hungry pirates. The commander and crew of Zephyr during one of the highlights of the race in which there was a boat near the photographer. As for the light air racing, I was so far behind that without binoculars I couldn’t really tell what was going on. I did see Connie P. for a while as she and Zephyr were hoping for just such. The race committee mercifully ended the last race as I waddled around within 30 yards of the last buoy for half an hour or so. The winning skippers of the 2014 Huddleston Cup from left to right: Dale Sturm, Bill Klarer, Carol Kersting, Barry Sanders, Gary Reimer and Kevin Klarer. 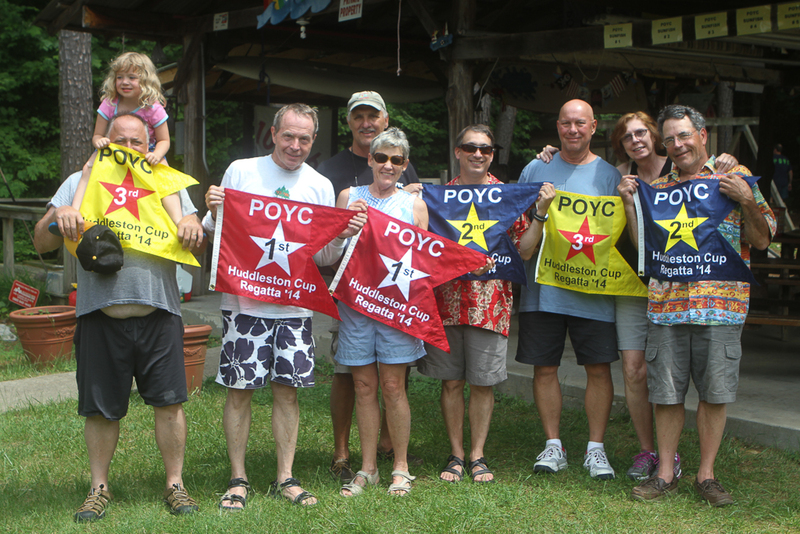 POYC thanks all participants for coming out and especially Bill Miller and the race committee, and social chair, Carol Kersting, for the spectacular grubs. Don’t miss the next event, The Jolly Roger and Low Country Boil on June 14th. Let the wind blow!